Today in Irish History: Execution of Erskine Childers. 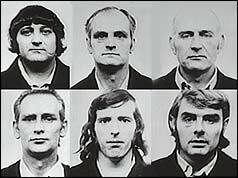 Birmingham Six Charged. 1974: British Police charge six men in connection with the Birmingham pub bombings that took place on November 21 resulting in the deaths of twenty one people.